It’s commonly known that cryptocurrency mining farms located in China have a stronghold over the Bitcoin ecosystem. However, a scathing new report suggests that China’s increasing influence over the leading cryptocurrency by market cap may be putting the Bitcoin network at severe risk. A new report entitled The Looming Threat of China: An Analysis of Chinese Influence on Bitcoin from a group of researchers hailing from Princeton University and Florida International University, takes a terrifying deep dive into China’s increasing control over the Bitcoin network and the risks associated with the country’s firm grasp. The researchers “singled out” China, calling it the “most powerful potential adversary to Bitcoin.” It also warned of a “variety of salient motives for attacking the system and a number of mature capabilities” that China uniquely possesses, which are a threat to Bitcoin’s integrity and future as a world currency. The paper points out how “heavily centralized” Bitcoin mining has become, with “over 80 percent of Bitcoin mining” being performed by a total of six mining pools – five of which have base operations associated with China. Combined, the Chinese mining pools control 74% of Bitcoin’s hashpower. Only 51% control over the network’s hashpower is required for a “51-percent attack” – a situation where miners are able to modify transactions on the otherwise inalterable ledger. The report also looks at how China’s social policy, in particular, China’s Great Firewall, could be giving Chinese miners preferential treatment in deciding which blocks to mine. Chinese miners are using the priority to their advantage and are mining empty blocks in an attempt to move the miner up the queue and increase mining returns. However, the mining of empty blocks has a detrimental effect on the speed of Bitcoin’s network. Slowing down the network is the least of investors problems when it comes to China’s control over Bitcoin’s hashpower. The researchers identified 19 different types of attacks that the Chinese mining pools are currently capable of. One such attack, called a Goldfinger attack, researchers say could destroy Bitcoin. “The most likely scenario is a death spiral in which China can credibly threaten a Goldfinger attack and rational miners will be scared off, thus destroying Bitcoin,” the report reads. But why would China be motivated to destroy Bitcoin? Researchers conclude that Bitcoin is in “ideological opposition” to China’s communist policy, and could “weaken or destroy it” to make a statement. “Virtually any violation of Bitcoin’s security suffices to achieve this goal as long as it is highly visible,” the researchers added. The paper ends with a chilling example of how China could use their influence to weaponize Bitcoin. Many foreign economies look to cryptocurrencies like Bitcoin as a safe haven due to the lack of financial infrastructure in their country, or due to the way their governments control traditional fiat currencies. 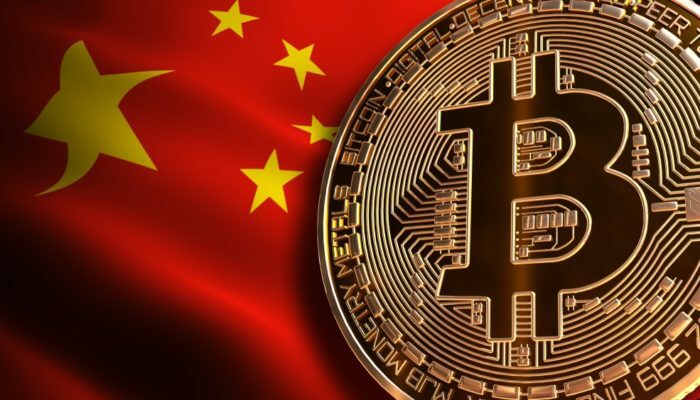 The report says that China may seek to attack Bitcoin as a way to indirectly attack an enemy country and destabilize its already fragile economy. “To exert influence in a foreign country where Bitcoin is in use, China may aim to weaken or even totally destroy Bitcoin. This could be done by targeting specific users or miners for attack or by generally weakening consensus to increase volatility to a breaking point,” the report warned.